Marchant is a popular science writer with a PhD in genetics and medical microbiology who has written for New Scientist, Nature, the Guardian, and the Smithonian . She is rigorously skeptical of alternative therapies and the miraculous; however she isn’t dismissive of the fact that people are sometimes helped by them. Cure: A Journey into the Science of Mind Over Body is her examination of the mind’s power to influence physical health and well being. She reviews various scientific studies, interviews those who have participated in them, and explores what the brain can or cannot do as far as healing our bodies. Marchant examines the benefits of combining a placebo with Pavlovian conditioning, the benefits of cognitive therapies in fighting Chronic Fatigue Syndrome, hypnosis in treating Irritable Bowl Syndrome, and the benefits virtual reality for Pain management. In the latter part of the book she talks about how stress affects health, the benefits of meditation the importance of relationships and positive outlook for aging well, and how manipulating the vagus nerve through electricity may impact our immunity. Her final chapter examines the role of faith in healing, specifically at Lourdes. I feel out of place amid all the singing and signing. I’ve never attended a Catholic Mass, and I usually try my hardest to avoid religious ceremonies. I get uneasy about the idea of substituting reason and clear thinking for robes, incantations and mysterious higher powers. But at the same time it is beautiful; a hugely impressive assault on the senses. (266). Later she writes, “Lourdes didn’t turn me into a believer. But after attending this giant underground service, I’m struck by the physical force that religious belief can have” (227). She sees the power of religion to effect people’s health, for good or ill, in mechanisms like stress and ritual. She prefers a naturalistic interpretation of how healing occurs—a scientific explanation of how healing took place invalidates it as a miracle (which she doesn’t believe in anyway). I have participated and benefited from healing prayers, but I am also aware of studies on intercessory prayer that show no significant change, and reveal faith healers’ success rates as equal to that of a placebo (about 29%). I don’t share Marchant’s skepticism of the miraculous. I do, however, appreciate her well-documented look at the science behind the power of the mind to influence physical health. Her bias towards a rigorous look at the evidence is what made me want to read the book. I especially found the studies of the placebo effect in the first part of the book interesting, and this is a fun read. I recommend this for anyone interested in our current understanding of the brain’s ability to effect our body. We are fearfully and wonderfully made. I give this four stars. Note: I received this book from Random House and Crown Publishers through the Blogging For Books Program in exchange for my honest review. and have struggled to rebuild their lives. of all whose souls are ravaged by war. and Your Peace reigns on the earth. Broken Souls Made Whole: a book review. When a person has suffered severe abuse they are damaged socially and emotionally and physically. They also bear spiritual scars and need healing. Author Candyce Roberts has walked with many survivors of abuse as a minister of inner healing to those who are traumatized. This book describes some of the issues that sufferers of abuse face and the wisdom that Roberts has accumulated from ministering to them. The ministry of inner healing involves inviting Jesus into the wounded areas of our heart and allowing him to bring healing to our past memories and broken parts. In focusing on sufferers of abuse, Roberts has often met those who have a ‘fractured personality’ (like Dissociative Identity Disorder but she cautions non-mental health professionals against diagnosing anyone). Often in sessions of prayer ministry, survivors of abuse will manifest different personalities. These are parts of the self that need healing and integration. Throughout this book Roberts gives advice to prayer ministers on: confronting fear and denial, inviting Christ in the picture to minister to the person, helping the person work toward forgiveness, addressing false beliefs, ministering to children, learning wholeness, the role of community in bringing healing to the abused and cultivating intimacy. Roberts brings a lot of wisdom and experience to bear on the issues and is a trustworthy guide on how to minister to broken people. While the focus of this book is survivors of abuse, much of what she has to say applies to prayers for inner healing in general. But while I affirm inner healing and Roberts general approach to it, I remain skeptical about pieces of this. Roberts (and Neil T. Anderson who writes the forward) speak of Satanic Ritual Abuse (SRA). Her rhetoric about SRA is not the goat/human sacrifice hysteria of the late 1980’s, but she does posit that there are victims of abuse perpetuated by members pf cults(Satanists or otherwise) who intentionally fragment the personality of a child through ritual abuse. This is a bold and controversial claim, not least because trauma memories are not universally accepted as particularly reliable. Wounded people may ‘remember’ traumas in therapy when primed by a therapist, whether or not the events actually occurred. It seems to me a similar phenomenon may also happen in inner healing ministry, so I skeptical about the more fanciful tales (though I would concede that the world really has people that evil who cause wounds that deep). However whether abuse is real or imagined by someone, they still need the healing Jesus offers and Roberts method of prayer seems effective to me. My heart goes out to the victims and I don’t want to seem insensitive about the parts I disagree with Roberts on. So I give this book a middle of the road endorsement (3/5). There was a lot in here I found helpful and I think Roberts offers some helpful advice for praying for inner healing with the wounded, but I am unsure that everything that happened to the survivors she describes, really happened the way they described it. Thank you to Chosen books for providing me with a copy of this book in exchange for this honest review. Posted on August 10, 2012 August 10, 2012 Categories Books, Holy Spirit, Learning to Pray, ReviewsTags abuse, Book review, Book Reviews, Candyce Roberts, Dissociative Identity Disorder, healing, inner healing, Satanic Ritual AbuseLeave a comment on Broken Souls Made Whole: a book review. Sometimes Church Don’t Feel Like it Should: Book Review and Book Giveaway!!! 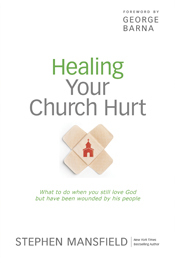 If you are part of a church (and you should be), sooner or later you are bound to experience a ‘church hurt.’ Everyday wounded people leave the church never to return because of their woundedness and others’ jerk-face jerkiness. Trust me, I know. I have struggled to not be bitter at big-ego-pastors, manipulative back-stabbers, gossips and dismissive deacons. All too common and par for the course for many churches. I could tell you stories, my own and friend’s stories, about how churches discriminate, dehumanize and destroy people. Clearly there are major problems. No matter how petty the cause is, every religiously wounded soul I encountered was in danger of a tainted life of smallness and pain, of missed destinies, and the bitter downward spiral. And every soul I encountered had the power to be free, for each of them, no matter how legitmately, was clenching the very offense or rage or self-pity or vision of vengance that was making life a microcosm of hell (10). So he wrote this book to help people move past their wounds, their pain and anger, their church hurt, to a place of healing, forgiveness and freedom. Mansfield examines examples of betrayal and hurt from church history, the Bible and his own experience and reflects on how to manage betrayal and wounds without letting it poison your personal and ecclesial life. He offers helpful advice, provides questions to help people sort through how they are handling their wounds, and help them learn from the experience and he attends to possible spiritual dynamics and directs people on how to re-engage the church after experiencing wounds (possibly a different church, but not necessarily). I wouldn’t say that this is the most insightful book, but I really appreciate Mansfield’s focus on helping people move on and not let their ‘church hurts’ keep them from giving and receive love in the body of Christ. Certainly at different points in my own journey, a guide like this could have been helpful and may have guided me through some difficult circumstances. Sounds Great James! How Can I Get This Book for Free? So glad you asked that. As it so happens, I have a voucher for a free book which you can redeem from your local bookstore or directly from Tyndale. I will happily mail this to one of you. In order to get your free copy, please comment below (you have to provide a valid email address so I can contact you, but that won’t post publicly). As I am free to arbitrarily pick the winner, tell me a little bit about why a book like this would be helpful to you. Regardless if you win this book, my hope is that you will find a way to navigate past your hurts and re-engage in church, feeling the joy of fellowship. 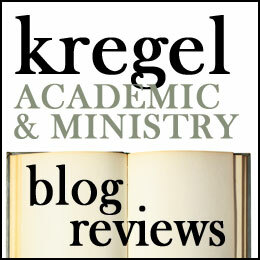 Thank you to Tyndale for providing me (and maybe you) with a copy of this book for the purpose of this review/giveaway. 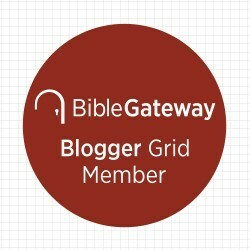 Posted on March 27, 2012 March 27, 2012 Categories Books, churchTags book, Book Giveaway, Book review, Book Reviews, Church, forgiveness, healing10 Comments on Sometimes Church Don’t Feel Like it Should: Book Review and Book Giveaway!! !